See my Etsy shop for all my original clothing designs and artwork. It’s Sunday morning! 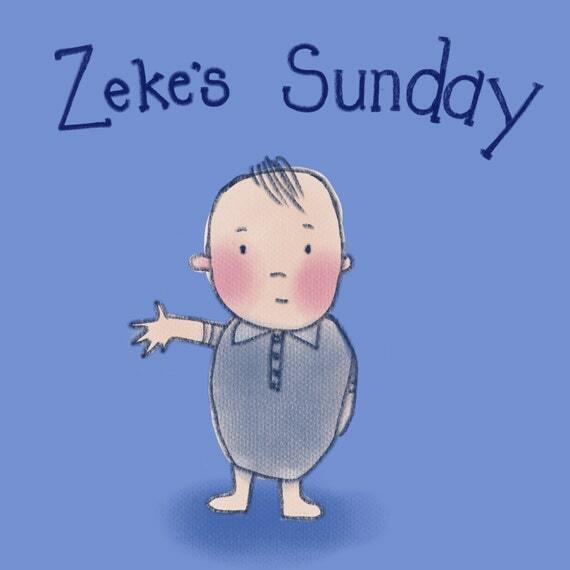 Follow along with Zeke as he gets ready to worship God and learns how to act. Children will love this book with it’s brightly coloured pages and engaging rhymes. I based this book on my son’s favourite book, “Go, baby, go!” When I saw that he could happily sit through the brightly-coloured book with its simple words 5 times, I knew I wanted something similar that I could use in a worship setting. Ideal for use in Bible Class for ages 0-5.